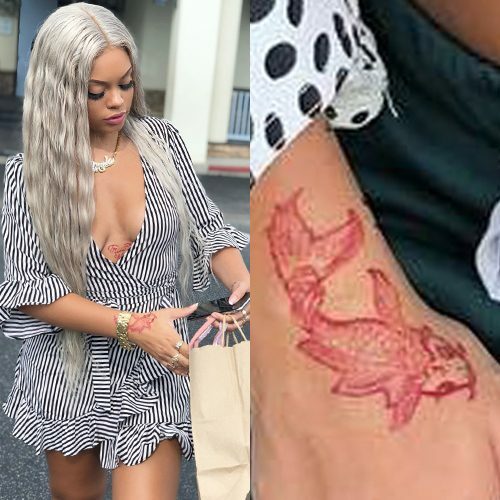 Lisa Bonet has a dragonfly tattoo on the back of her right hand. 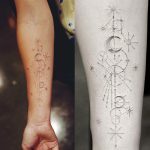 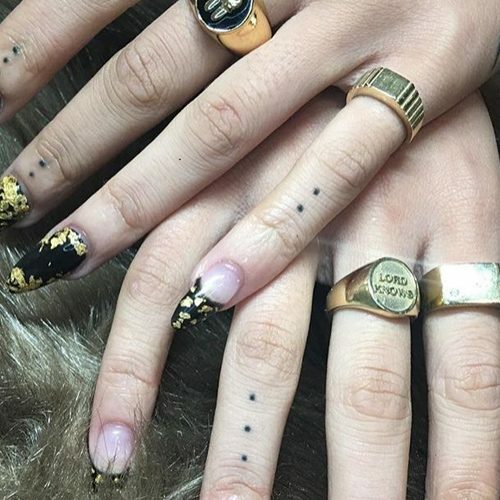 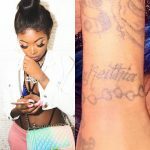 Wolftyla has many dots tattooed on her fingers. 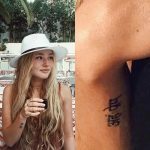 Zosia Mamet has a tattoo of three dots on her right hand – between her thumb and index finger. 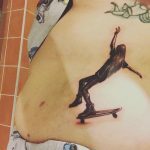 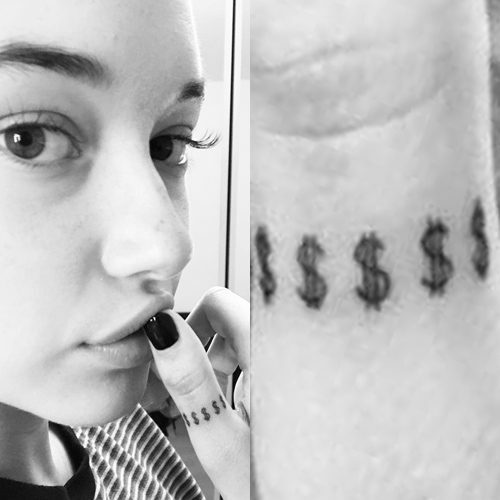 Sarah Snyder has a tattoo with dollar signs on her right thumb. 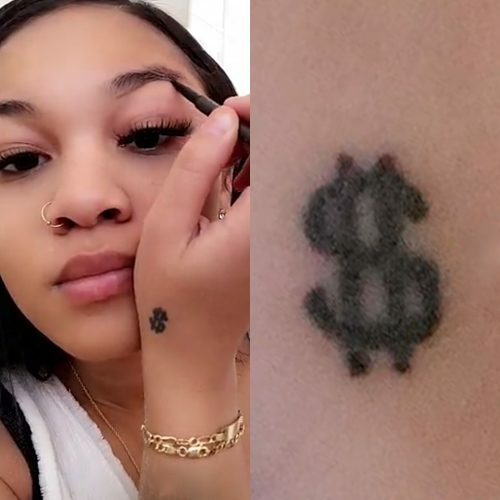 Wolftyla has a dollar sign on her right hand. 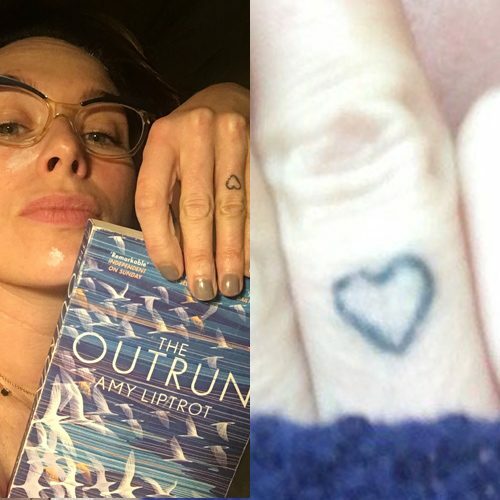 Lena Headey has a tiny outlined heart tattoo on her ring finger. 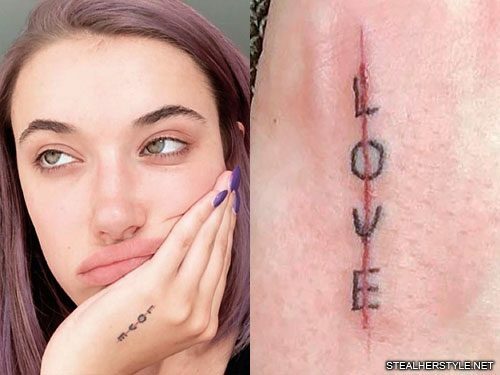 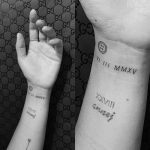 Olivia O’Brien has the word “LOVE” tattooed on the back of her left hand with a red line going through it.